It's officially Super Bowl Weekend my friends and guess what that means!?.. 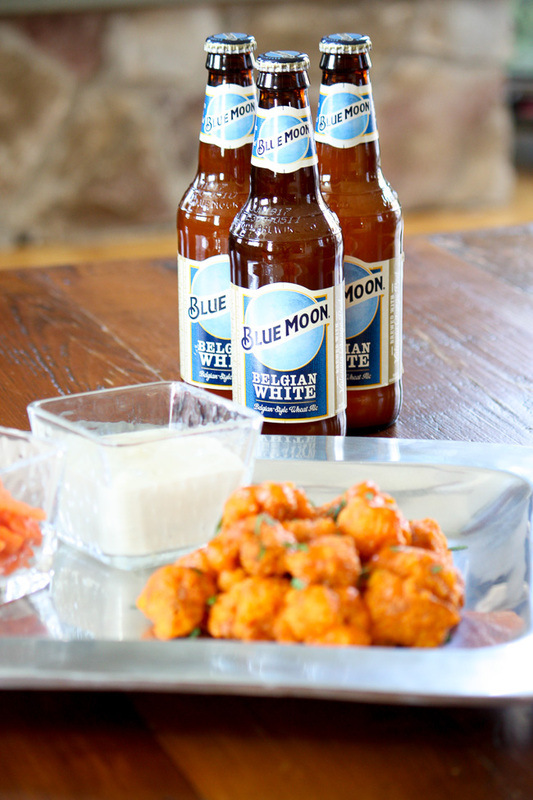 it's just about time to break out all the delicious food and drinks that accompany watching football. If I'm being honest, I'm probably more interested in what's being served at the Super Bowl parties, than the actual game itself (unless, of course, the Giants are playing). Since they sadly are not, it's pretty safe to say that my attention will be on the apps.. clearly I've got my priorities straight. 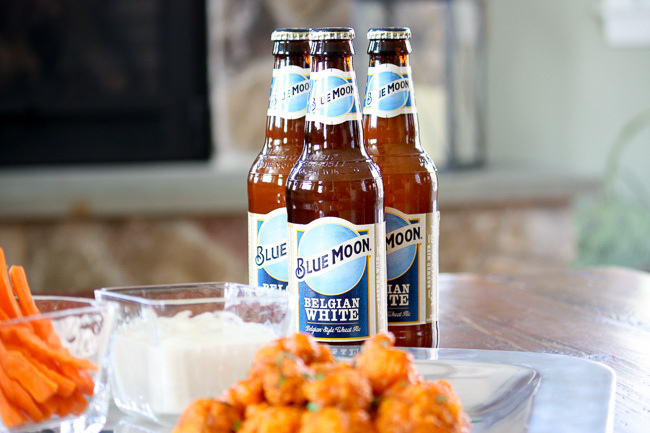 But lets be real, watching football, especially the Super Bowl, just isn't complete without a cold beer in hand and some spicy wings! 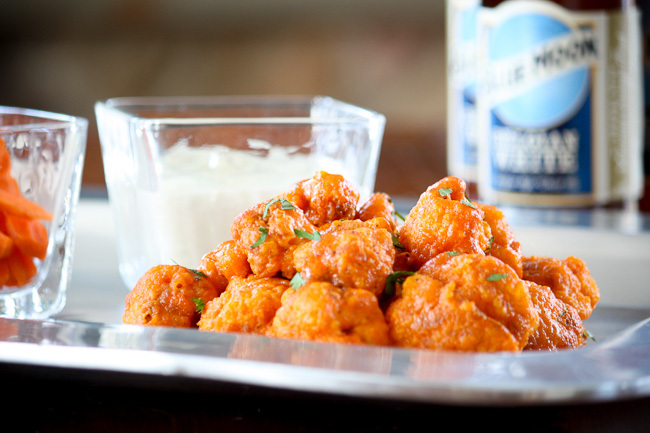 Buffalo wings are what I always associate with football as they are always a go to, and for good reason. However, I wanted to try something new that switched it up a bit, but also didn't stray to far from the norm. 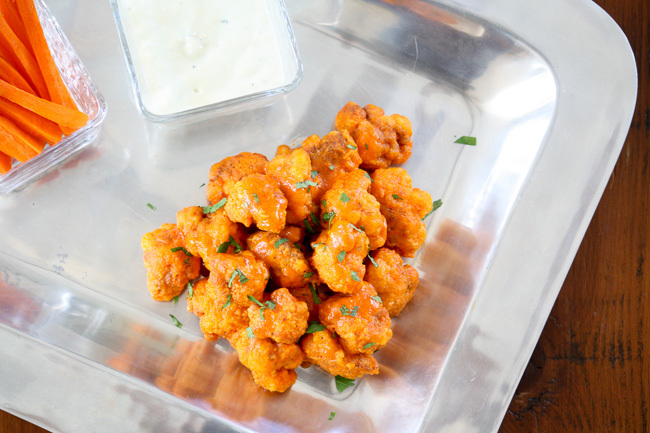 Enter... buffalo cauliflower bites. I had stumbled upon the recipe a while back, but hadn't had the chance to give them a try yet, so in the spirit of Super Bowl Sunday, I figured this was the perfect chance. I whipped up a batch last weekend as a test run and let me tell you, they are so good. Like so so good. I was a little weary about how they would come out, but they seriously give buffalo wings a run for their money! I quite honestly might even like the cauliflower bites better than the actual chicken wings. Who knew substituting a veggie would be so good? With the big game only a couple days away, I wanted to share this recipe to you all in case you wanted to give it a try for your own Super Bowl parties. As someone who isn't the most experienced in the kitchen, I can say that it wasn't all that hard to make, and although they take a little bit of prep and cook time, they are so worth it! I promise they will be a hit wherever you are spending Super Bowl Sunday! Enjoy! 1. Pour 2 to 3 inches of oil into larger sauté pan. Heat oil over medium heat until it shimmers on the surface. 2. Line a baking sheet with paper towel. Whisk eggs in large, shallower bowl. 3. In another shallow bowl, mix flour with garlic powder, black pepper, and cayenne. 4. Working with a few pieces at a time, dip the cauliflower pieces into egg until they are well coater. Then dip them into the flour mixture and toss well to coat. Repeat with with the remaining cauliflower. 5. Working in batches, fry cauliflower until pieces are evenly golden-brown. Remove cauliflower and drain on the prepared paper towel lined baking sheet. 6. In a smaller pot, melt butter over medium heat. Whisk hot sauce until combined. 7. 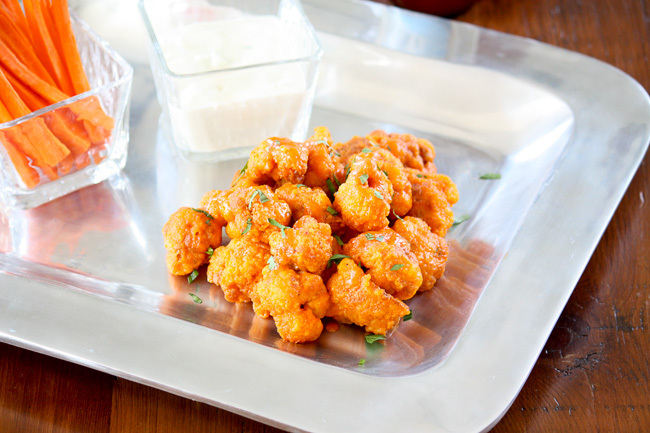 Add the fried cauliflower to the sauce and gently toss to coat. Garnish with parsley. 8. 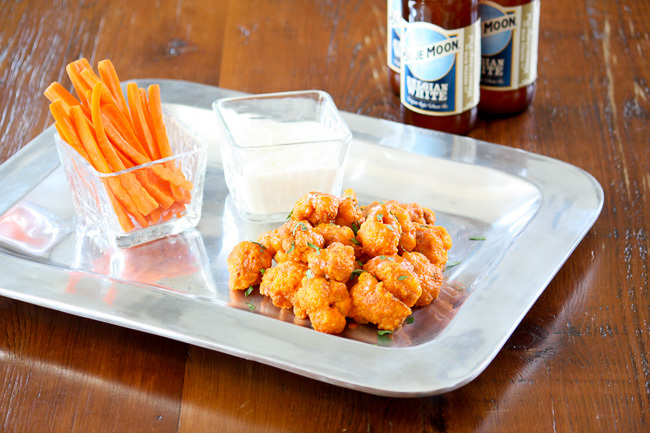 Serve cauliflower immediately, hot, with carrots and celery on side with blue cheese dressing. This recipe first appeared on PureWow! Thanks for sharing!